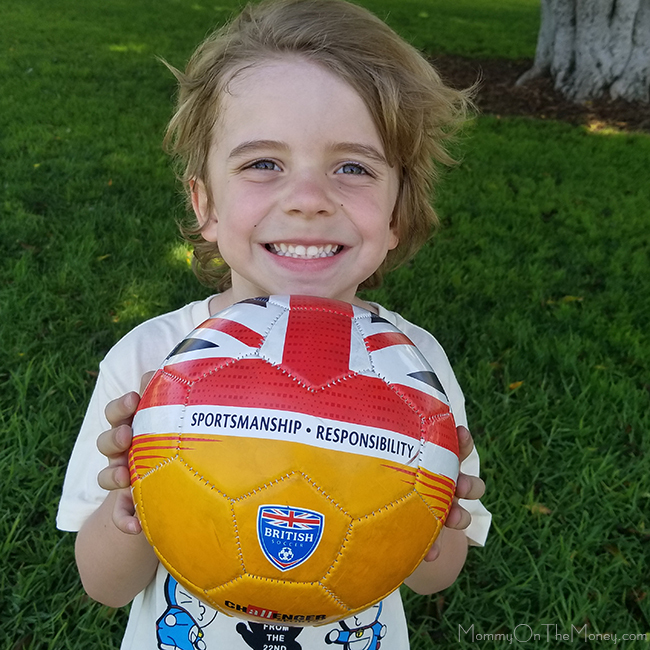 * This is a sponsored post written on behalf of British Soccer Camps. 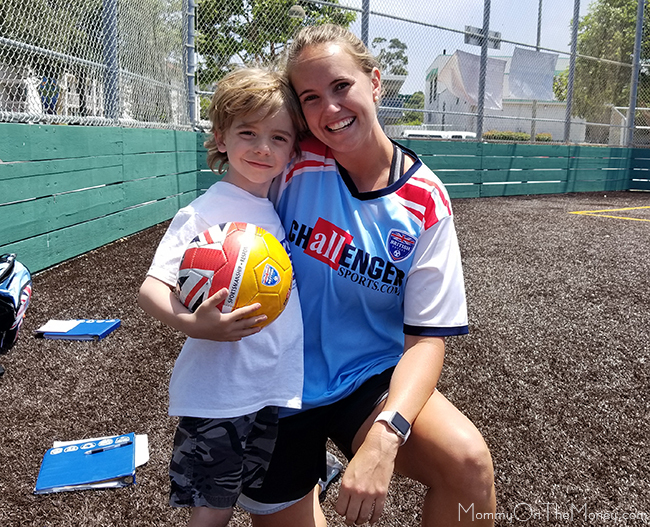 This week we did one of Challenger Sports British Soccer Camps. My son had been looking forward to the camp ever since we had signed him up a few months back. We posted about a promo code with free sign up gifts and this week he finally got to try it out. 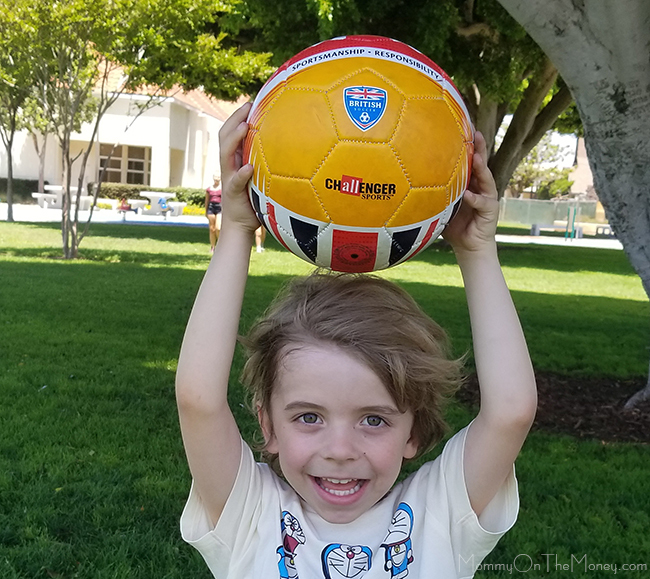 We did the Mini Soccer and he enjoyed it immensely. 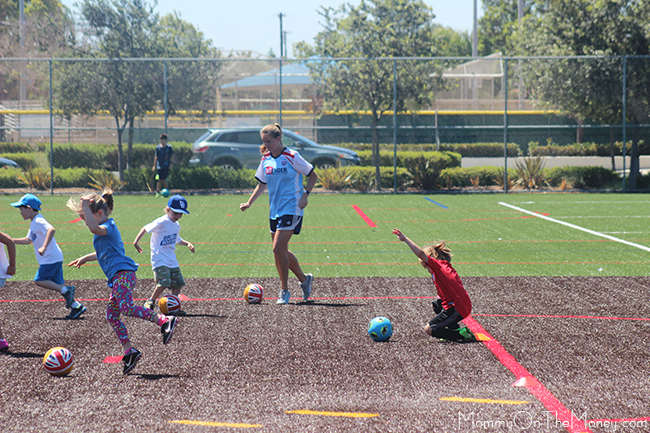 Read on for our British Soccer Camp Review. 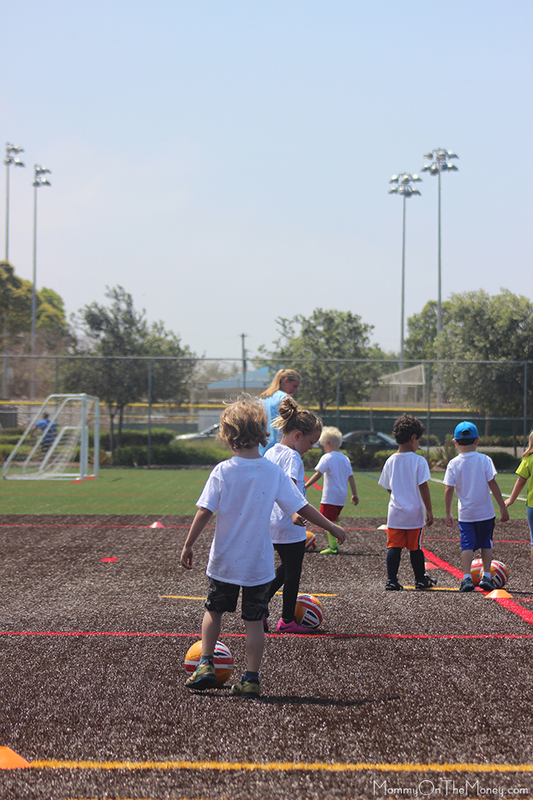 * We received a complimentary week of British Soccer Camp in order to facilitate this review. 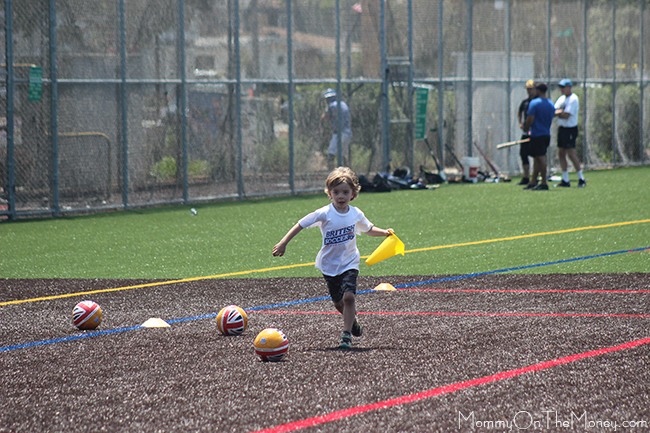 So this week I got to play soccer mom and this little dude got to try out a week of soccer. 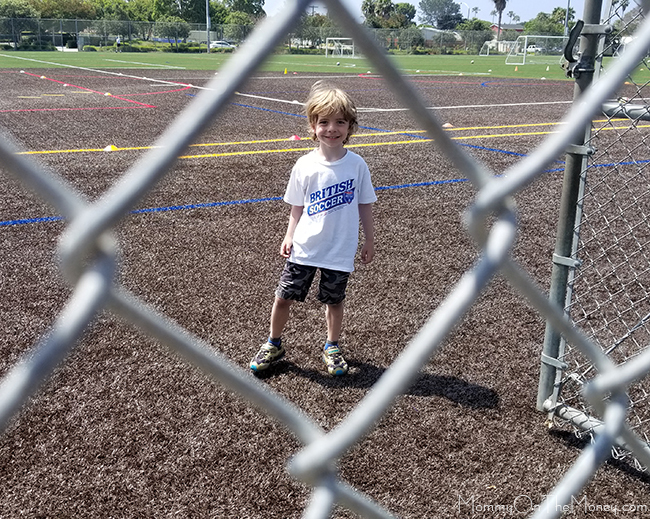 He had tried out a little kid mommy and me class when he was too small to remember and he really didn't get the opportunity to do much of any sports outside of school in Japan. 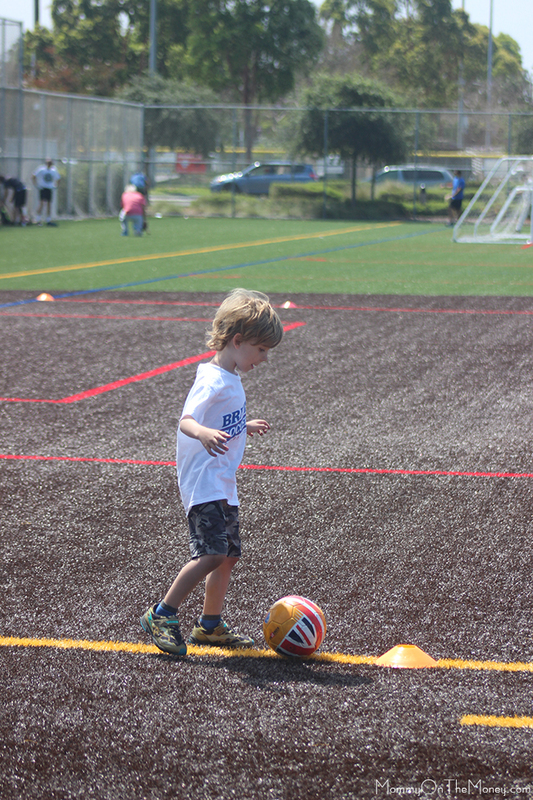 This was a great way for him to spend 1.5 hours of learning soccer fundamentals with a talented coach. 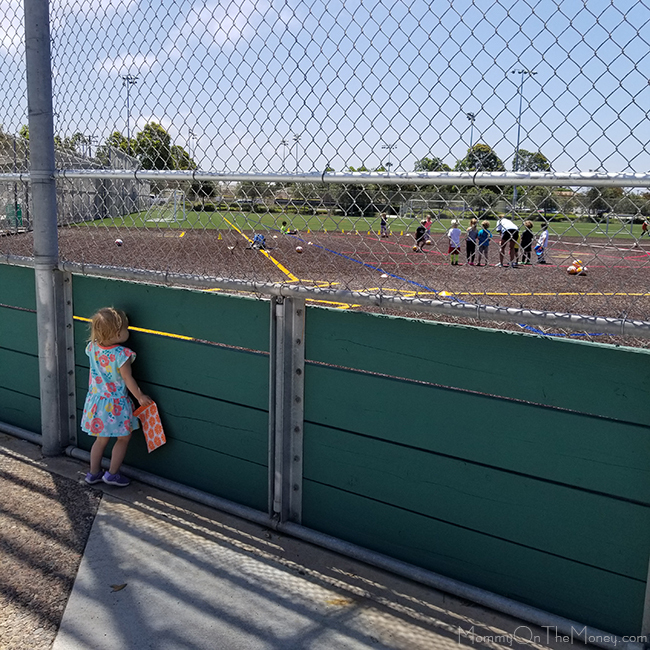 We dropped him off with water and a snack and had the option of walking around with our little one or sticking around and watching the whole class. He absolutely loved it! I wish the class was longer, he liked it some much. They did lots of little exercises and games. All the kids had a good time. They were all included and the were all able to participate. He even made a very special friend, although he made friends with all of the kids. 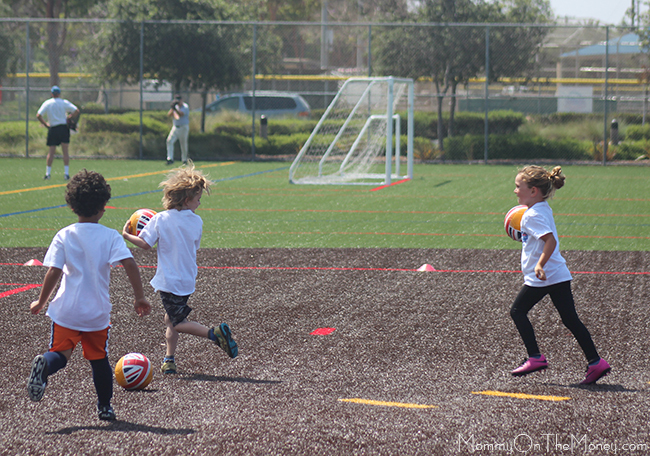 At the end of the last class, the coach gave out a personalized certificate to each kid. It had some praise, some constructive criticism, and a custom note. 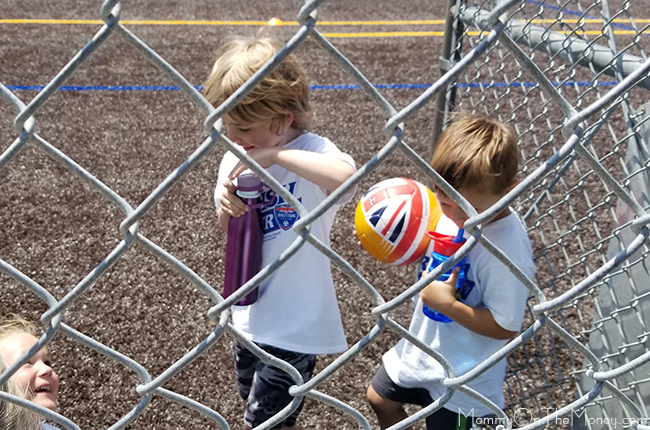 The coach mentioned how our little guy made an effort to make friends with each kid and he confirmed it when we ran into one of his new besties in Trader Joe's after. She acknowledged that he had an affinity for the game and and encouraged him to continue. 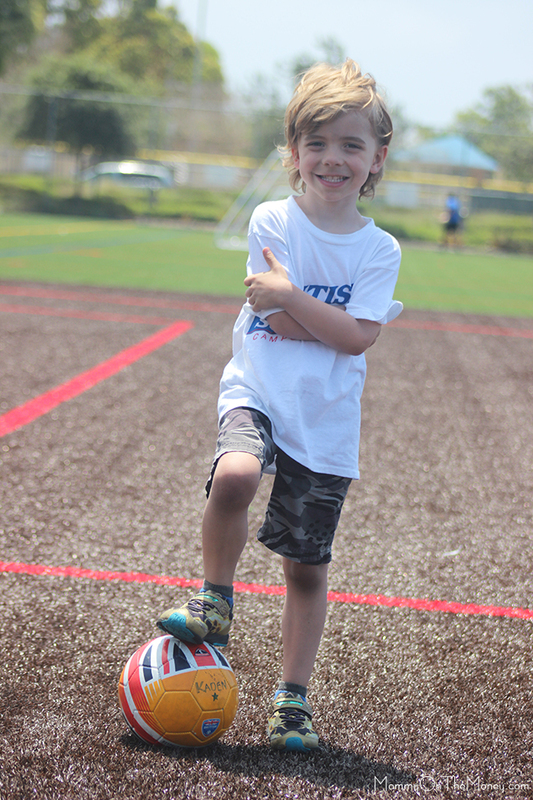 He said he wants to do soccer forever and music just until the end of summer. 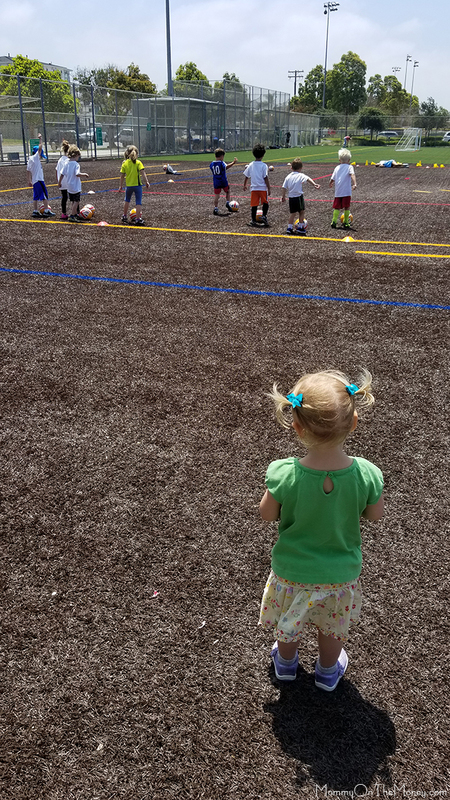 I guess I'm going to be a soccer mom! 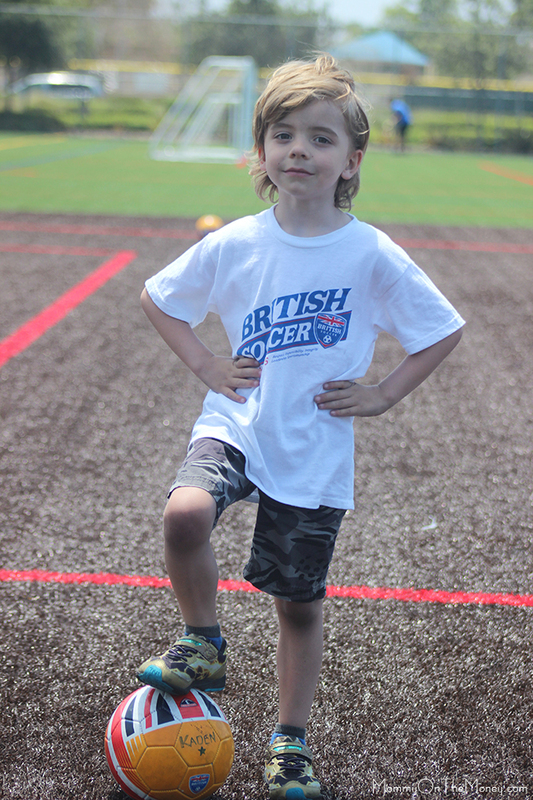 British Soccer Camps provides a 5 day high-level coaching experience for kids from ages 3-18 which works on developing the whole child rather than just their soccer skills. introduction to the very basic elements of the game. Half Day Camp. Ages 6–16, 3 hours per day. 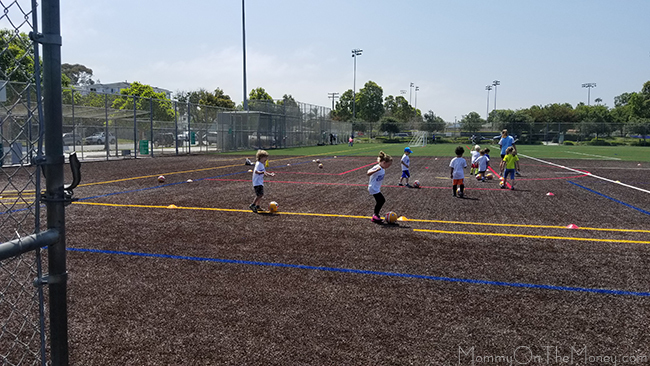 core techniques and small-sided games. campers. Includes fun competitions and scrimmages. 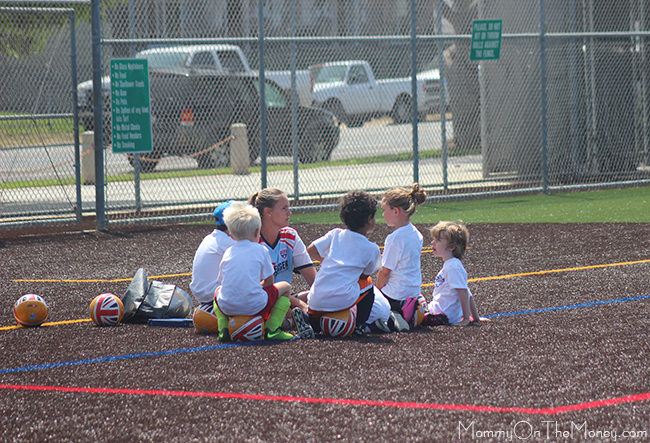 to fit the specific needs of your team! What do they do each day in British Soccer Camp? 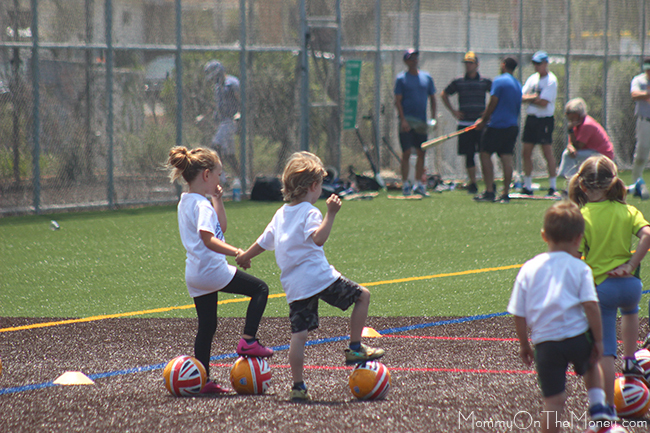 Each day, kids work on the ABCs of soccer (ability, balance, and coordination), freestyle with juggling lifts and balances, and their moves including 20 different ways to fake and beat opponents. 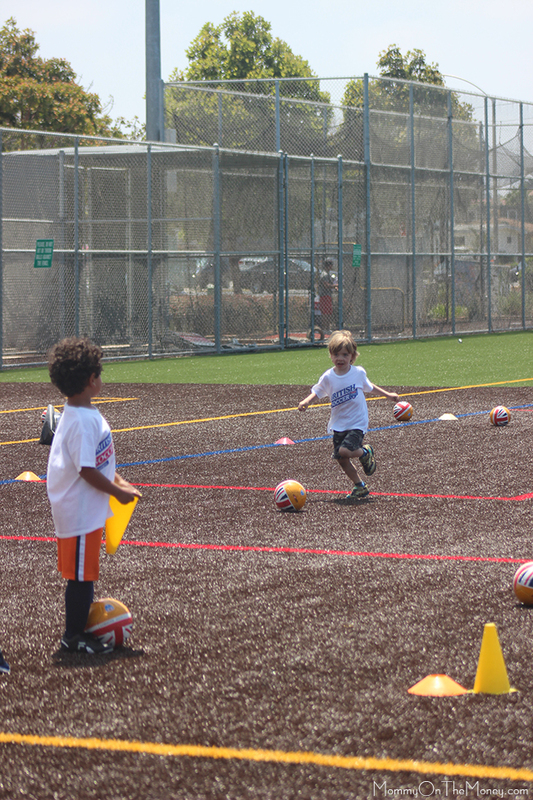 Throughout the week, the child works on dribbling, passing & receiving, shooting, heading, tackling & defending. 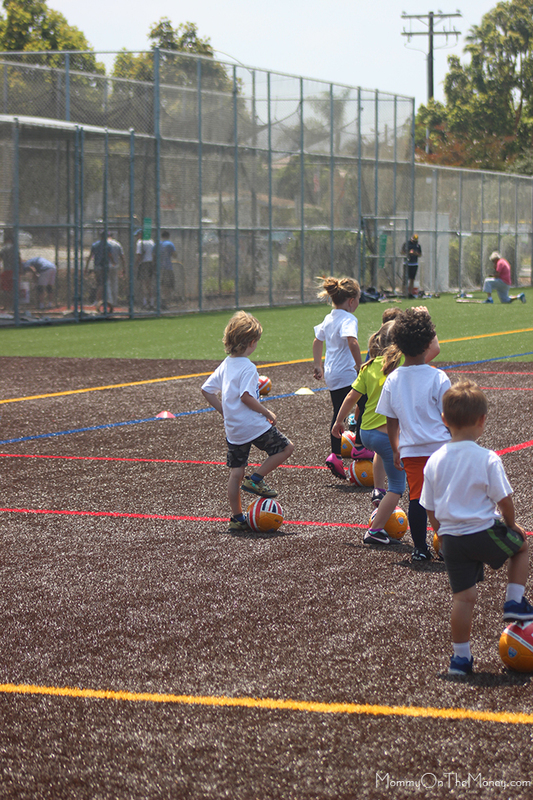 So if your child is a ball of energy, soccer enthusiast, or just needs something to get them away from the TV or devices this summer, check out British Soccer Camp and book your session right now before they fill up and don't forget to use our promo code CAMP17 for all your free stuff! 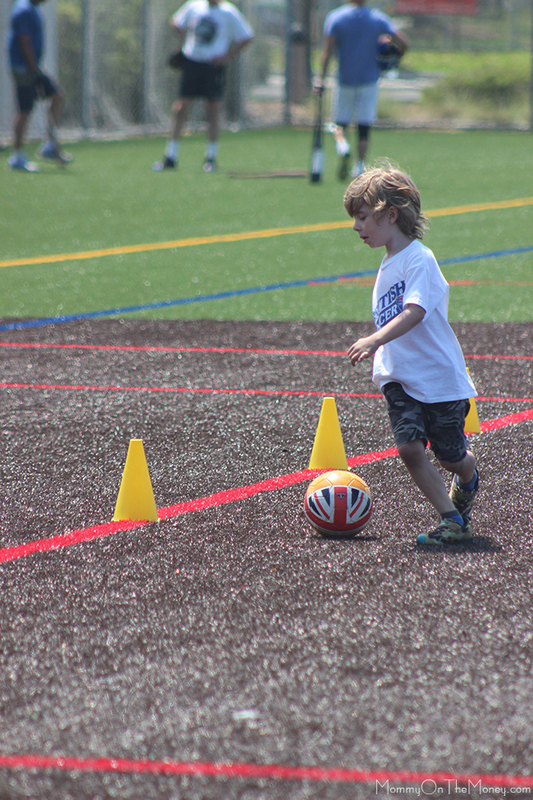 British Soccer Camps are for ages 3-18.